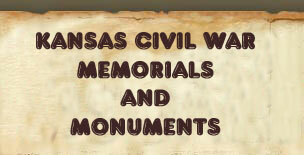 Description: This brick monument has inlaid marble panels with bronze plaques that read: "Lest We Forget ~ The Men ~ And Women ~ Who Served ~ In Defense Of ~ Their Country" and "Donated By ~ Mr. W.C. Dillon ~ Mrs. Cena Hoover ~ Mrs. Irma I. Smith ~ Mr. and Mrs. K.H. Petro ~ 1970". There is a cast spread-winged eagle on the top. Description: A small plaza is in the center of the cemetery. 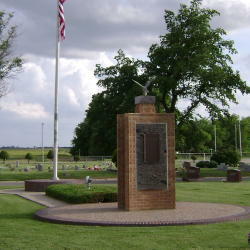 A polished gray monument is inscribed "Lest We Forget". There is also a flagpole and bench. The bench is inscribed: "In Memory Of Glenn & Harriett D. Smith ~ A Place To Be Alone With Your Memories". 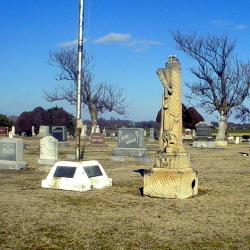 Description: The monument is in the form of a broken tree trunk. The inscription on the monument reads "GAR 1908". 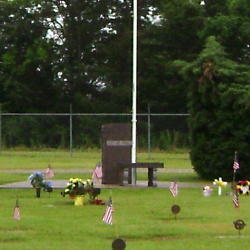 The flagpole has four brass markers reading: "In Memory Of ~ All Men And Women ~ Of The ~ U.S. Military ~ And ~ Naval Service", "In Memory Of ~ Grand Army ~ Of The Republic ~ Henry Hopkins Post No. 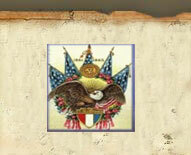 301", "In Memory Of ~ Spanish American ~ War Veterans", "In Memory Of ~ World War ~ Veterans ~ Erected By ~ American Legion Post No. 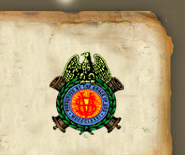 131 ~ 1939". Description: A 3-Inch Ordnance Rifle is mounted on a wooden carriage. This was obtained by the local GAR post in May 1908 and dedicated along with newly placed limestone monument on 4 June 1908 in the City Cemetery. 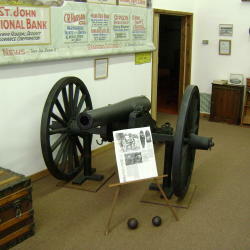 It is not known when this cannon was moved from the cemetery.